Helps to eliminate “hot and cold spots” for an overall balanced temperature to lessen the work load on HVAC units. *According to the U.S. Dept. of Energy statistics, approximately one third of a building’s cooling costs can be attributed to solar heat gain through windows. Window film applications help resolve this scenario from literally “throwing money out the window” and putting it back into your hands. Cool comfort with stabilized temperatures welcomes occupants in every room even during intense summer weather. Watching television and working on computers are more enjoyable with the absence of interruptive glare. With filmed glass, window coverings can be left open or removed. Enjoy crystal clear views without worry of fading furnishings or sun damage to skin. Unlike ordinary glass, window film adds a layer of protection to reduce the likelihood of injury caused by flying shards of glass. Filmed windows and glass doors effectively deter and deny thieves from having easy access into your home. What value can we put on the safety of our family……. Low-e films with specialized technology lowers heat gain so measurably that a commercial building will see a sizable dent in the estimated 34% of HVAC energy once lost through untreated windows. Consistently cooler temperatures step up comfort and productivity. Excessive eye-straining glare on computer screens and product displays are eliminated. Occupants, electronic equipment, merchandise, and furnishings are protected with less exposure to ultraviolet rays. Environment is enhanced with unobstructed views day or night. 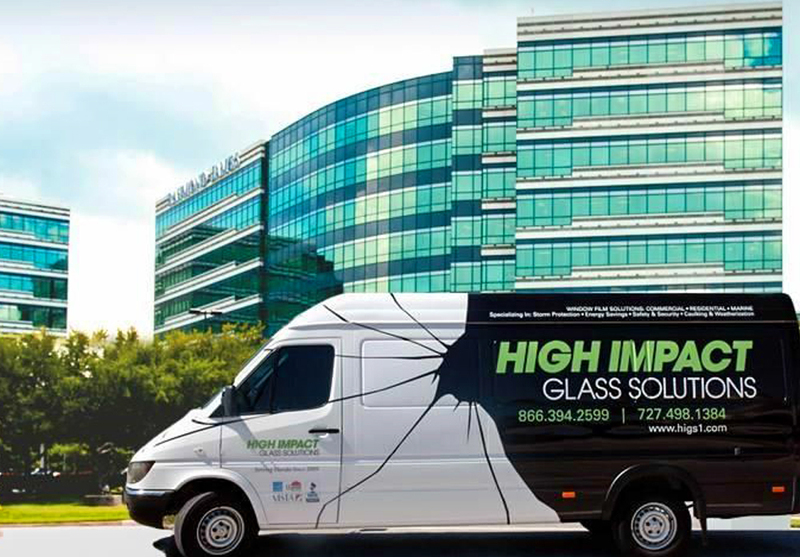 Protects your building’s envelope and occupants by holding glass in place if windows become shattered during a traumatic event. Deters “smash and grab” thieves who rely on fast access through untreated glass to commit their crime. Increases interior privacy and eliminates visual clutter for a more attractive appearance on the exterior. Enhanced features are felt inside and clearly seen outside. With unmatched distinction, our selection of window films brings cost effective solutions to homes, office buildings, restaurants, retail marts, art galleries, world-class resorts, office complexes…. virtually to any structure that has glass!